Graham Hicks is a freelance Edmonton Sun journalist, family man, lover of good food and commentator. His full-time journalism career with the Edmonton Sun, from 1981 until he retired in 2010, was spent thinking, talking and dreaming about the city in which he has lived and worked for 41 years, Edmonton, Alberta, Canada. Today, Hicks contributes two columns a week to the newspaper, The "Weekly Dish" restaurant review and the business-oriented "Hicks on Biz". His previous five-times-a-week town-crier style column “Hicks on Six” in the Edmonton Sun and the Edmonton Sun online, was considered Edmonton’s best-read newspaper column. Much of his recent commentary can be found in the "columnists" section of the Edmonton Sun Online, www.edmontonsun.com. On the commentary side, Hicks also publishes the HicksBiz.com blog. Graham worked at the Ottawa Citizen, Brandon Sun and Edmonton Journal before joining the Edmonton Sun in 1981. After entertainment, news and political writing assignments, he moved to Page Six as “Hicks On Six” columnist for 18 years, from 1992 to 2000. In the community, Graham was the founder and spokesman for the annual Edmonton Sun “Adopt-A-Teen” Christmas project, providing Christmas gifts for over 8,000 teens from low-income Edmonton families. He founded and organized the Edmonton Sun's annual ATCO/Edmonton Sun Christmas Charity Auction. In 2003 Hicks chaired the $2 million Catholic Social Services “Sign of Hope” Campaign and continues to volunteer with the social agency. He is a past chair of the River Valley Alliance (RVA) Advisory Committee. The RVA is dedicated to extending Edmonton's magnificent North Saskatchewan river valley park system, south to Devon and north to Fort Saskatchewan, creating the world's longest river valley park. Graham has received the Queen’s Golden Jubilee Medal for community service, Sun Media’s J.D. Creighton Award for lifetime achievement, the Grant MacEwan College’s Distinguished Citizen Award and The Rotary Club of Edmonton 2008 Integrity Award. 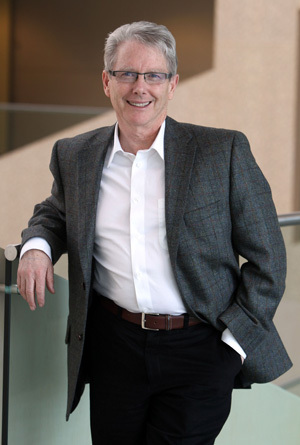 On the eve of his retirement from the Edmonton Sun, the City of Edmonton and Mayor Steve Mandel declared November 8, 2010 to be "Graham Hicks Day" in Alberta's capital city. On Jan. 2, 2011, the Edmonton Sun published a Graham Hicks retirement special section. His books include “Making Money The Old-Fashioned Way,” co-authored with financial advisor Ron Hiebert of Scotia-McLeod and a series of soft-cover Graham Hicks’ Joke Books, with the proceeds going to charity. Graham is happily married to Maria. They have three adult daughters, a teacher, an actor and a TV producer, and one beautiful grandchild, aged 3 months.